Love the look and feel of watercolor, but lack expertise? 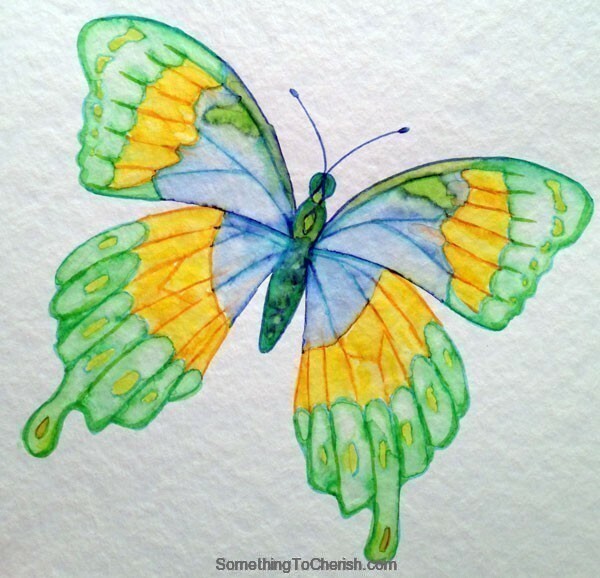 This month’s blog hop theme is “Favorite Craft Techniques.” While I have many craft techniques that I enjoy, lately I have been experiencing the joy of Koi watercolor markers. They come to a lovely tip and you can do all sorts of traditional marker work with them. However, when you add water, that’s when the magic starts happening. When I was a little girl I was obsessed with those watercolor coloring books that had the pictures printed and the pigment around the edge. (Does anybody else remember these?) I was only allowed to do them when I spent the night with my Grandma (my parents gave me lots of blank papers to let my mind roam free the rest of the time). I would just have a cup of water and a brush and paint for hours at a time handing them off to my Grandma so she could lay them around the kitchen to let them all dry. As a professional, I have discovered a technique that combines the fun of a coloring book with the freedom to paint anything I want. With this technique you can start with any image you like. If you don’t feel comfortable drawing, you could even work off a kid’s coloring page! 1) Trace/Draw your image to a blank piece of paper. 2) Tape your drawing to a light box or window then tape a blank sheet of watercolor paper on top. 3) Make a plan of what colors you which to use where and them get those Koi markers out. 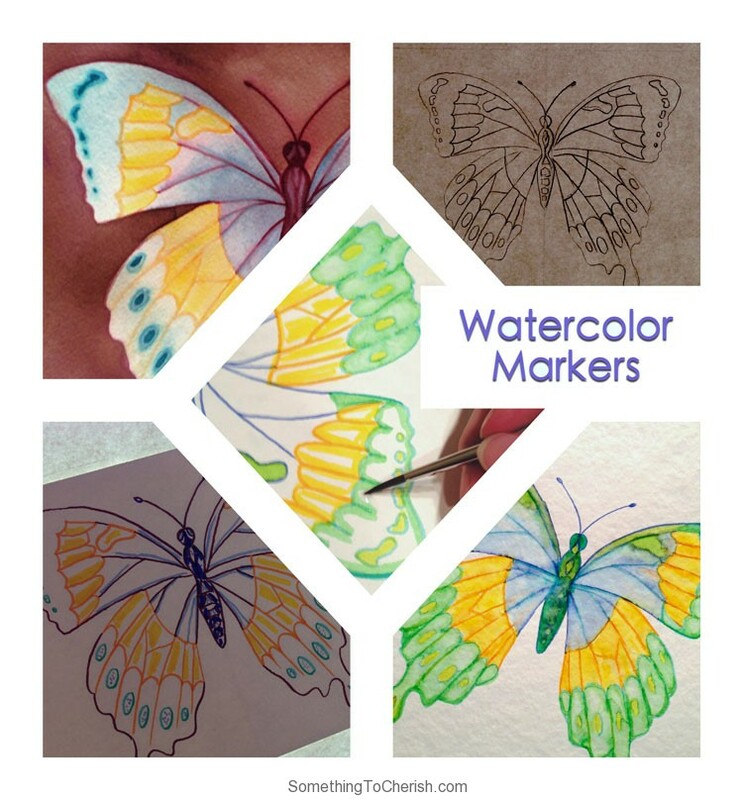 4) Trace around each shape of your drawing with the color of your choice on to the watercolor paper. 5) Add in any filler color you want, but leave about 50% white space. Feel free to experiment with mixing harmonious colors together in a shape. 6) Next, get your watercolor marker drawing on a flat surface. Make sure you have a dish of water, your brush and a roll of paper towel nearby. 7) Work light areas first (i.e. whites and yellows) and add water to spread the marker dyes around. Let dry and do the next area. Try working every other area that doesn’t touch to speed things up. 8) Once you have painted your whole picture, feel free to draw on top with more markers as well as other mediums including watercolor paint, colored pencil, pen & ink and others.